How many times have you stopped yourself from wanting something big in your life just because you were afraid you wouldn’t get it? Stop just dealing with your problems and eliminate them for good. The Release Your Limitations two day practical and informative seminar is designed for people exactly like you. Imagine living a longer, happier and more rewarding life. Waking up with a sense of purpose. Moving forward with a plan that is life enhancing. Being an inspiration to your family and friends. By focusing on helping you Design Your Life our seminars & training will help you to live your dreams today. End your weight loss struggles, finally lose weight and eliminate the stress of dieting. Create a body and a life where you feel confident, healthy and in control with our 2 Day Life Changing Seminar. Release Your Kilos takes you through a 4 step process to eliminate the areas that are blocking you from losing weight. 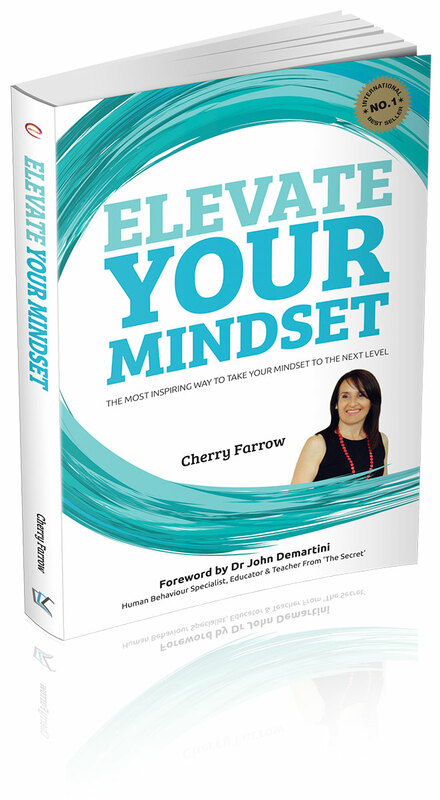 Elevate Your Mindset – Available now! Want to Radically Transform Your Mindset AND Your Life? Too often it’s believed that an abundant life is out of reach and is somehow reserved for others. This book contains the inspiring messages of people who have elevated their mindset and now empower others to achieve the same. Why mindset is critical to success in each area of your life. You are the author of your own mindset, so take the next step in your journey by finding inspiration and information in the pages of this book.